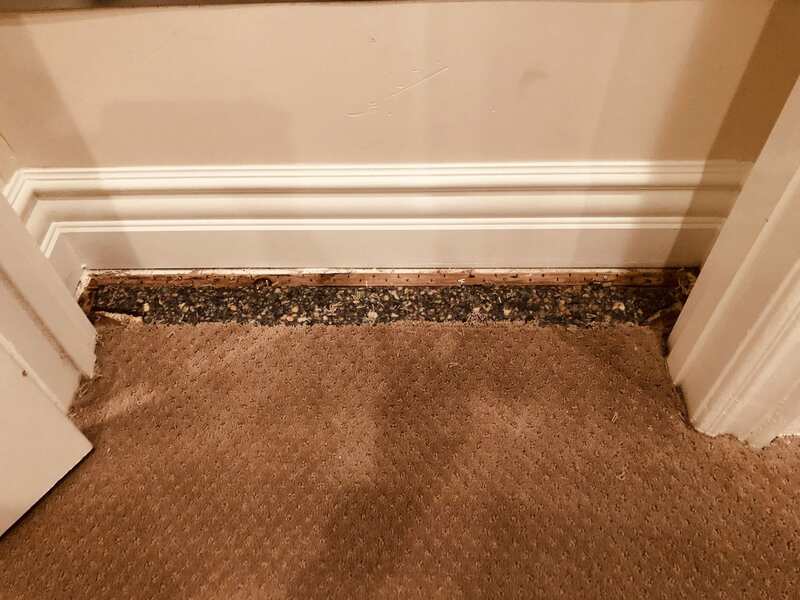 Our repeat customer called us out to his home after a plumber had accidentally bleached and then cut out a section of his Berber carpet. 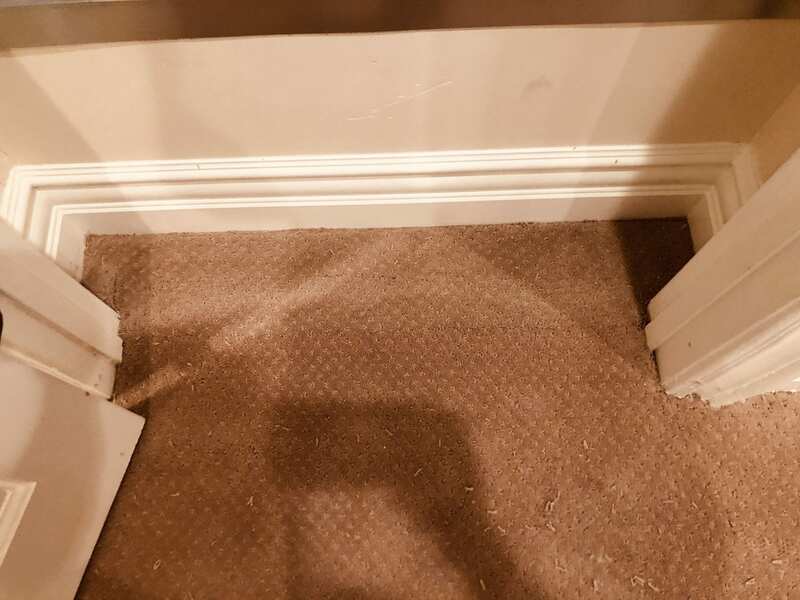 Our technician was able to use the customer’s extra carpet for the specialty repair. The tech permanently grafted in the remnant making the carpet look 90% better. We give all of our pricing over the phone based on measurements and honor the workmanship for the life of the repair. Call our office for your free carpet repair estimate at 928-275-2217 today!